Circular Polarised Omnidirectional FM Radio / DAB Antenna Aerial. Plus Mounting Bracket and Coaxial Connection Box. RTL2832U interface IC & R820T tuner IC on USB dongle. - These are custom USB devices tuned for SDR and include much better components than generics. 1x USB DVB-T Stick. - The PLL of the stick can achieve lock up to 1766 MHz. Main body, Coaxial cable RG 58U cable 15 m (with BNCP plug), Conversion connector - MP - BNCJ type × 1 piece, NP - BNCJ type × 1 piece, Operation manual. Plug connection. The longest. φ30 to φ60 mm. Useable frequency range. This is Icom IC7000/7001 to Codan 9350 Tuner interface cable. Not suit for IC 706 u need to buy other cable on list. 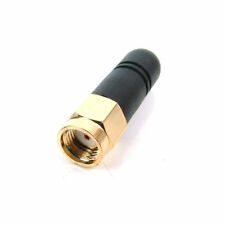 FM antenna designed for improve the FM signal, can help you get more stable signal. -PAL Female connctor easy for install Simply push on it to the intended male connctor antenna connection. -Female PAL connector,cable length:1.5m Cable specification: 22AWG UL certificate wire. Compact Coil Active Antenna (DC) 500kHz - 30MHz. Made in Dorset UK. The Spectrum Compact Coil HFAA is a further evolution of the original Compact HFAA sold by Garex Electronics and NASA Marine and as standard only gave a gain of 20dB at low frequency falling off rapidly to 0dB at 28MHz. Kenwood TS 480 /TS 2000 to Codan 9350 Cable. This is build and tested Codan 9350 to Kenwood cable. Standard 6pin Mill plug and 6 pin Kenwood tuner connector. MAR-300 Fixed Fibreglass Marine Antenna Features. The MAR-300 is a robust marine radio antenna - which supports all UK, EU & international marine rado frequencies. Designed as a fixed antenna, it has a right-angle mounting bracket and is designed to be mounted to any vertical surface on a boat. The CD61 provides outstanding coverage of UHF frequencies, in a ready-to-install, no tune design. 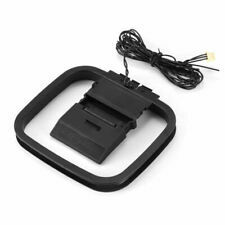 The integrated matching circuit is housed in a rugged, impact-resistant base for maximum durability with a fully moulded highly flexible whip. 2.4GHz 26dB Antenna YG-24-25 AV04409 | Electrical World. Electrical World Outlet > 2.4GHz 26dB Antenna YG-24-25 AV04409. 2.4GHz 26dB Antenna AV04409. Light Fittings. Fire & Refuge. Great Prices. Why Choose us?. Compact Coil Active Antenna 500kHz - 30MHz, mains powered. Made in Dorset UK. Codan 9350 Top spring light version. This is alternative top spring can be use with Codan 9350 tuners. Type: ScanKing HF Discone Antenna. Gain: Upto 1.5dBi over standard discone. 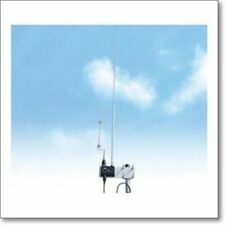 Great antenna for all HF/VHF and UHF! Ideal for listeners wanting shortwave but do not have the space for a long wire. Frequency: 0.05-2000 MHz. FREQUENCY RANGE Input Port: 1x N-Female Connector. Output Port: 2x N-Female Connector. OUTPUT PORT ISOLATION POWER RANGE CONNECTOR TYPE 2GHz ~ 3GHz: 0.50dB. 1GHz ~ 2GHz: 0.55dB. DESKTOP RECEIVING / SCANNER ANTENNA ( MULTIBAND ). MULTIBAND FREQUENCY RECEIVING ANTENNA. FREQ 25-2000MHz. MAGNETIC BASE. 1 x LP0410 400 MHz to 1 GHz Log Periodic PCB directional antenna, at 5-6dBi Gain. 1 x The SMA connector is supplied, but needs to be soldered in place. 6.6dBi and 3dBi Fibreglass Masts. Pool Lights. If no one is present, a card will be left advising of the nearest pos office or parcel collection point where the item can be collected. Warranties do not cover installation or third party costs. The MFJ-1703 is an antenna-to-transceiver switch designed to help protect your radio by ensuring both radios are always connected to an antenna. Key Features/Specifications Size 75 x 106 x 70mm. Aerpro CBW30. Can be mounted on vehicle bull bars and guards using Aerpro mounting brackets. 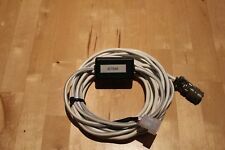 30 cm UHF CB Radio Whip Stainless Steel Antenna. Flexible whip with black heat shrink. 100% Stainless Steel Spring and body. 10 m fiberglass pole with reinforced design. Total length > pushed, 10 m < span class = notranslate ' > 1.17 m. Weight < span class = notranslate ' > 1.7 kg. The wall thickness of the tubes are significantly increased: the lowest tube has 2 mm wall thickness, the second Pipe from above still 1 mm. Low power consumption, so battery life is long, probably ~12 months, ie a bit like your smoke detector battery. The tuning system is sharp and peaks right on station, boosting weak signals whilst rejecting interference and enhancing reception quality. Ski Snowboard Gear. Warranties do not cover installation or third party costs. If no one is present, a card will be left advising of the nearest pos office or parcel collection point where the item can be collected. Frequency: 1090 MHz. color UV-stable base. It has type N female connectors for direct connection to ADS-B receiver. on any place and weather conditions. Mounting brackets for 1"1/4 pipe hor&vert included. Ski Snowboard Gear. 4.5m Base & Lead Assembly. If no one is present, a card will be left advising of the nearest pos office or parcel collection point where the item can be collected. Heavy Duty Barrel Type Stainless Steel Spring. The Whizz Whip lets you operate your QRP HF/VHF/UHF portable transceiver with ease ! The Whizz Whip releases your rig from coax, cables, mounts, tripods and trees, and gives you amazing performance from your desktop to garden, with no ground required. For FM walkie-talkie debugging. F3: closed,open signal output. - Signal strength -70--132dBm. - Signal strength -70--132dBm effective other value is invalid. F1: cycling setting item,pointing to the selected item,respectively,frequency,signal strength,audio modulation frequency. High-Efficiency Whip. With 3 Loading Coils. Pool Lights. Ski Snowboard Gear. Better Products, Better Prices, Excellent Service. Warranties do not cover installation or third party costs. If no one is present, a card will be left advising of the nearest pos office or parcel collection point where the item can be collected. The Whizz Loop V2 covers from 40m instead of just 20m and is ideal for QRP Transceivers when space is limited or using portable with a Yaesu FT-817ND or similar. Can be used indoors with surprising results and handy for travelling due to its “pocket” size. Oricom ANU025 Antenna. 1 dBi Portable Magnetic Roof Mount Antenna. • Magnetic base with 3m cable. • Antenna (length 207mm). Most recent donors. OUR DONATIONS. SCHEDULE PICK UP. PICK UP AT DEER PARK (VIC). Type: Portable aluminium mast with tripod. Load: 50kg. Width of tripod: 1.5m. Length: 3.8m open 1.5m closed. VSWR: 1.5:1 or better. Connection: SO239. Power: 500 Watts. Bandwidth: 35 KHz. Polarisation Vertical or Horizontal. Gain over 1/2 wave dipole Unity. Support boom 1 1/4" x 12g mirror polished aluminium alloy tube - HE30TF. Collection is not possible. Weight 2.3 kgs. Full Warranty. Aerpro AP275. Stubby Roof Mount AM / FM Amplified Antenna. 12V trigger. 225mm total length from roof. 14mm bolt hole. Base has 5mm female thread. Most recent donors. OUR DONATIONS. PVC coated Flexweave is a high quality multi-stranded copper wire. 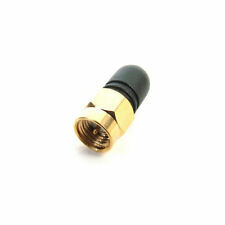 Suitable for all antenna constructions and due to clear covering will not tarnish. Type: Original high quality PVC covered flexweave copper wire. Polarisation Vertical or Horizontal. Gain over 1/2 wave dipole Unity. Support boom 1 1/4" x 12g mirror polished aluminium alloy tube - HE30TF. Collection is not possible. Weight 1.5 kgs. Full Warranty. Aerpro AP218SF. Shark fin amplified roof mount antenna. Amplify GAIN: AM 5db /- 3db FM 6db /- 3db. 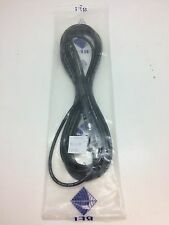 Power lead length: 300mm. Bolt Size: 13mm. Most recent donors. OUR DONATIONS. SCHEDULE PICK UP. The Terk Sir-EXT50 I/O Extension Kit allowed us to place the antennae up on the roof. Now even in bad weather we have great reception. Now we are more Serious about our Sirius than ever. Note: The Sirius antenna is not included with the extension cable. Heavy Duty Spring with Coaxial Assembly & PL259. Ski Snowboard Gear. If no one is present, a card will be left advising of the nearest pos office or parcel collection point where the item can be collected. 9dB Next G/GSM Black Detachable Kit. Ski Snowboard Gear. Warranties do not cover installation or third party costs. Better Products, Better Prices, Excellent Service. If no one is present, a card will be left advising of the nearest pos office or parcel collection point where the item can be collected. Weight: 3.7/100m. New type of guywire optimized for anchoring with respect to maximized "performance/price" rate. It has low weight, great abrasion resistance, great durability and is electrically insulating. Polarisation: Vertical. Radiostructures ENF400 is an end fed dipole antenna for use on the UHF band between380-470MHz. Gain over 1/2 wave dipole: Unity. Band width: /- 4% of the centre frequency. Shroud: Reinforced fibreglass tube. You could use it on Yaesu FT-817,FT-897,FT,857,FT-450,FT-100. This unit can be use with and HF radio to worth with Codan 9350 or 3040 tuners. When u press the tuner button with RF signal tuner will start tuning. •Frequency Range: 1 GHz to 18 GHz ( can be used from 900MHz to 20GHz). 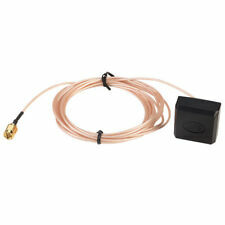 The antenna can be used from 900MHz to 20 GHz easily. This is a beautiful example of a wide-band feed horn antenna which is the b est in the market with the great specification. BA1010 Specifications . Max Wind Loading Area. Maximum Power Input - Watts. Direct Ground. PD10290 Deck Mount. WE ARE BASED IN PERTH, WESTERN AUSTRALIA AND HAVE BEEN EXPORTING TO ALL CORNERS OF THE GLOBE SINCE 2003. Siae Microelettronica GE9245- 03 Microwave Data Link. Andrew VHFLF1-23-S13 dish antenna. Dpix Spacing: 1.232,00/128/256QAM. Sub Band: 3H.